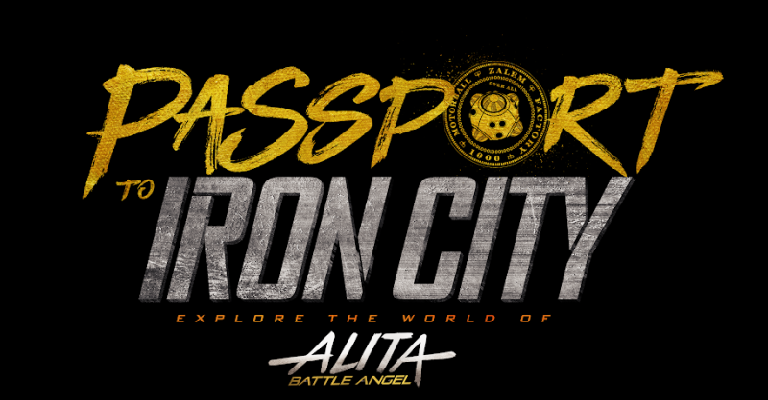 I visited the Alita: Battle Angel “Passport to Iron City” Experience in New York on the opening day. I will say I had a blast in the experience. The only down side for me was that they were a bit behind in the scheduling and this location at the time didn’t have the ability to serve the exclusive beer until after the opening weekend. They did make up for it by giving everyone free beverages in the Kansas bar though; giving the options of a glass bottle of Coke a Cola, a carton of water, or the limited edition can of Arizona Iced Tea featuring an Alita image. Now on to the good stuff; from the start everyone was acting the part including those signing you in. Although, not in character, as much as those in the game section of the experience, they did treat you like you a visitor to the city, and not ticket holders to the experience. After being signed in and choosing my name, I was given an ID badge, a lanyard with my team color, and a map. 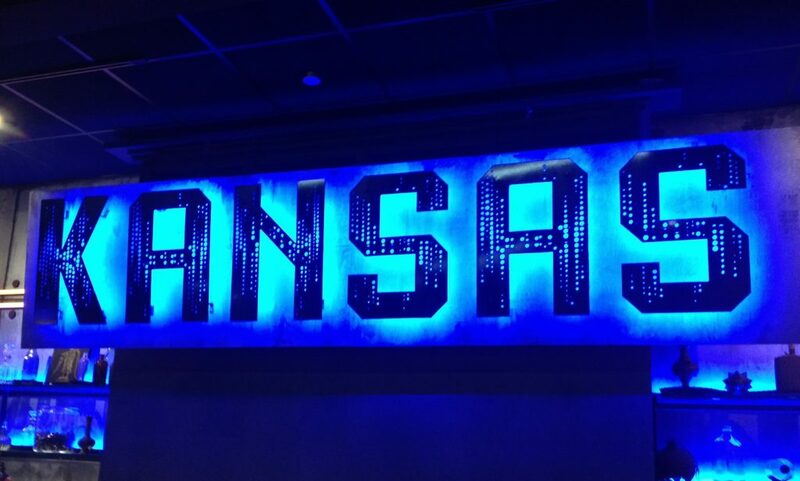 Once I was fully registered, I was directed to wait in the Kansas Bar. Having arrived early I was one of the first in the bar and walked around to explore and got my free drink. 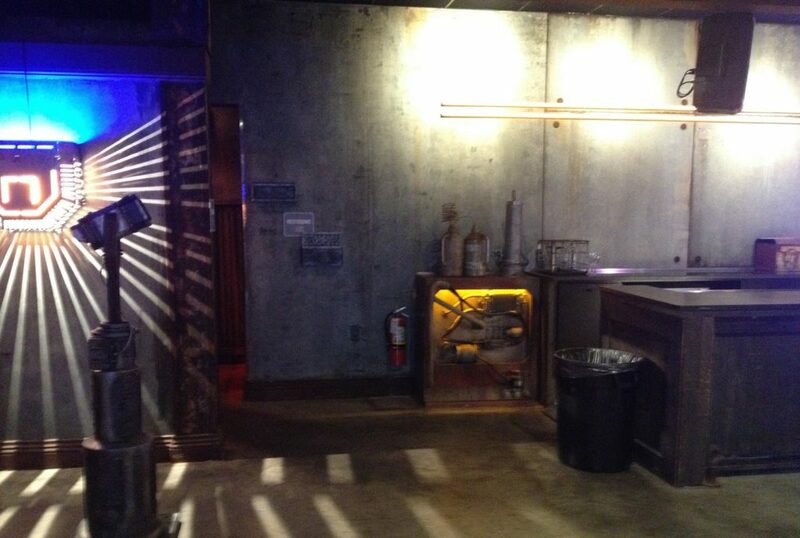 The decor was incredibly cool. 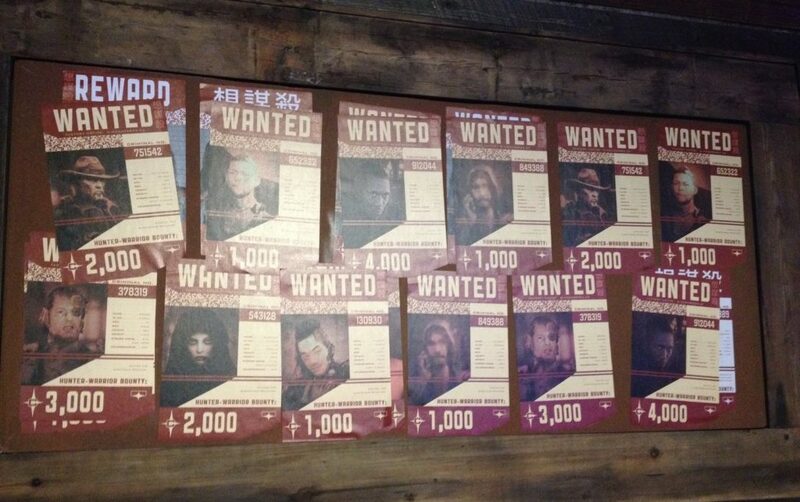 The tables had a terminal with information about Iron City and other aspects of the activation, each labeled with team colors so you could meet up with the rest of your group. After more of my team arrived, we introduced ourselves and started to explore and strategize. I noticed on the map our first way to earn credits, and relayed it to my team; but it did require us to team up with some of the members of the other teams. After the registration time was completed for all the attendees, our tour guide came and gave us all a quick rundown about what was going on and welcomed us to the Iron City. The host was fun, animated and definitely helped make the experience exciting right from the start. Once we entered the Iron City area the rules of the game were explained and we were all given a task to start out with. We had forty minutes to earn as many credits as we could by completing the different tasks/challenges. My team got off to a slow start but soon found our stride as every task we completed took us to the top slot on the leader board. The whole arena was filled with various stations, that allowed us to complete tasks and earn credits. Each task tested different aspects of the players, and required the whole team to complete. The tasks varied from putting together a puzzle, finding high value items in the scrapyard, testing senses, to finding hidden puzzles. There were clues and secrets everywhere, and I’d recommend any player think outside the box, work fast, and together if they want to earn credits. Unfortunately my team wasn’t able to participate in all of the many different challenges available, there was three specific tasks that we couldn’t complete since certain tasks only allowed one team at a time to perform them. The final task was betting on a Motorball Race, which has the highest weight toward your final team score. My team was able to find the clues to figure out the winner and secured our victory atop the leaderboard, so make sure to keep your eyes open through the night. 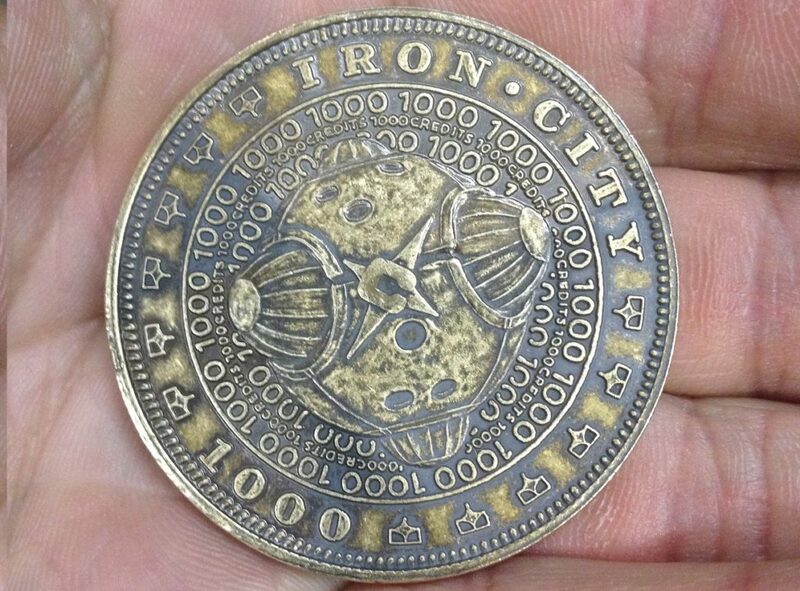 Winning the Motorball Race earned us the prize of a 1000 credit coin. Afterwards we entered into the gift shop and photo op area, where we could try on different cyborg components and purchase some Alita merchandise. Overall the experience was a lot of fun, while I went alone, and was on a team of strangers, the tasks are fun, easy, and enjoyable, so we were able to work together to win, without being lifelong friends. The point system and leader board is done fairly, using the averaging of points gained by the number of players on your team, so smaller teams won’t lose out on a challenge due to team size. The actors and characters staffed by the experience were a lot of fun to talk to and interact with. They did a great job of playing their roles and helping out in their own way, without giving away all the secrets. I can’t wait to go back again and try the games I missed and see if parts of the experience change. You can reserve tickets to the event here, on their website, and remember to check out Alita: Battle Angel when it comes out to theaters February 14th!